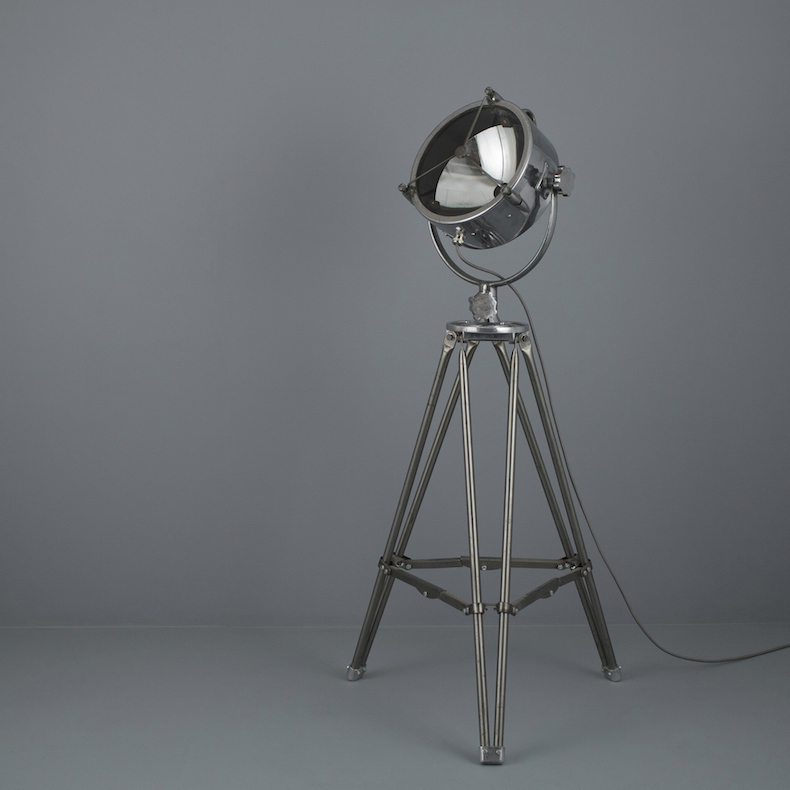 Vintage floor standing Francis searchlight - A one-off feature floor light with British heritage, once manufactured for use in the marine and fire service industries. 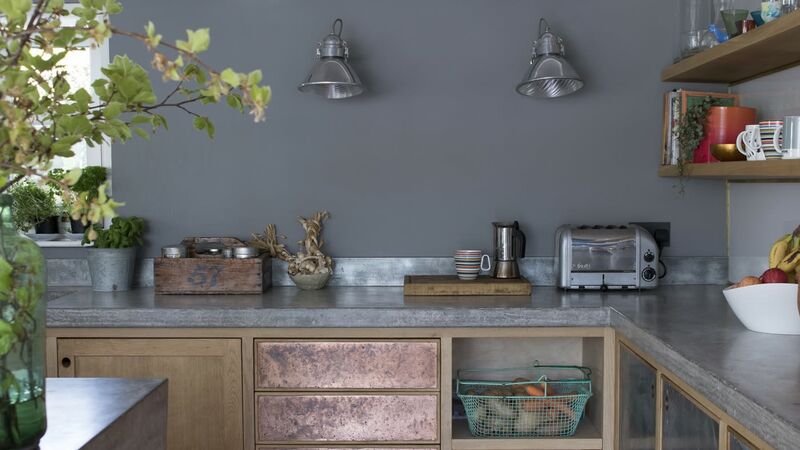 Vintage wall lights by G.E.C - Sensitively restored stylish industrial bulkheads with original pastel green surface colour and patina. 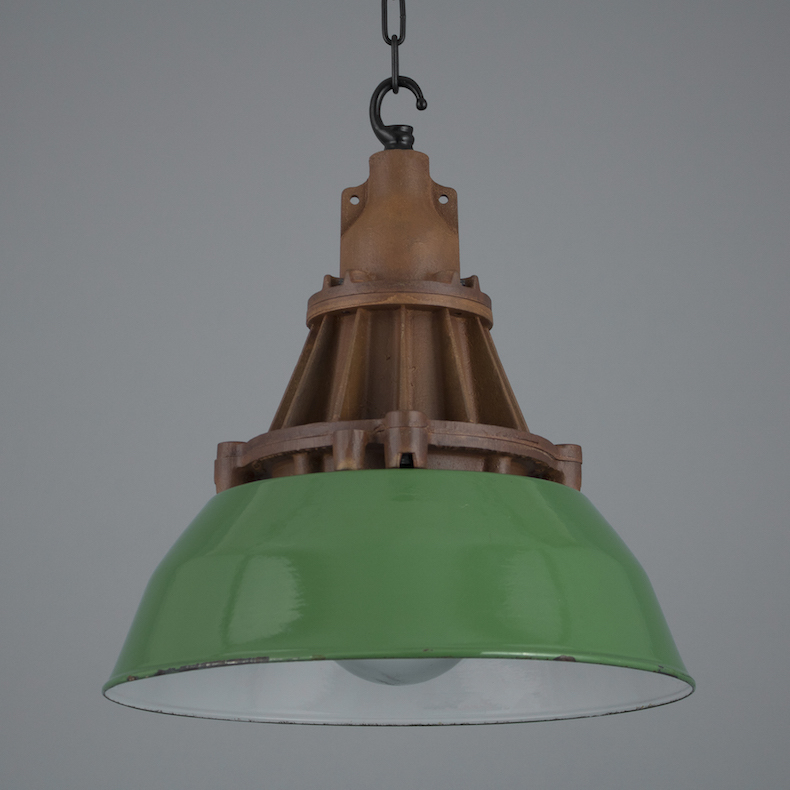 Munitions store lights (V2) - Classic industrial pendant lights originally made by Heyes & Co. 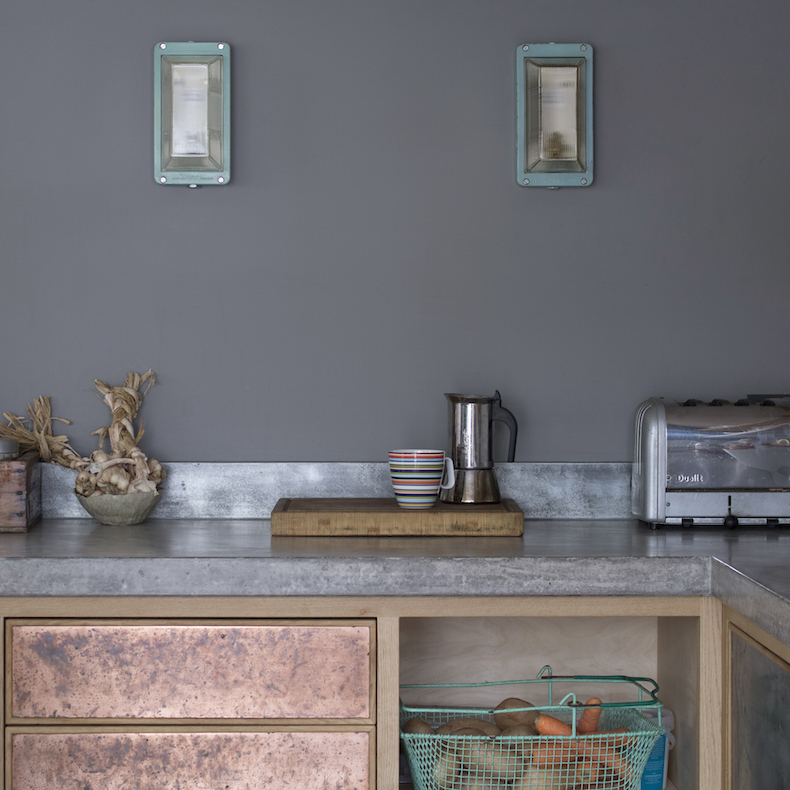 These statement lights have an oxidised gallery, green enamelled shade and original glass well. 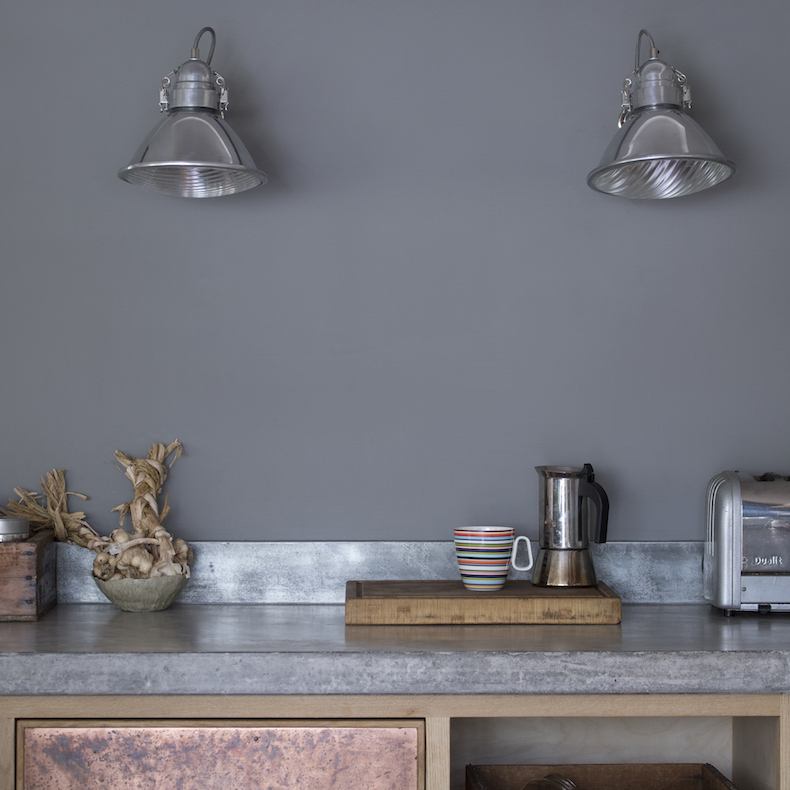 RAF airfield landing lights - These stunning pendants were salvaged from an R.A.F base in Northwest Wales and converted to feature pendant lights. Art Deco wall lights - 1930s Czech wall lights with a ribbed Bakelite body and opaline glass shade. 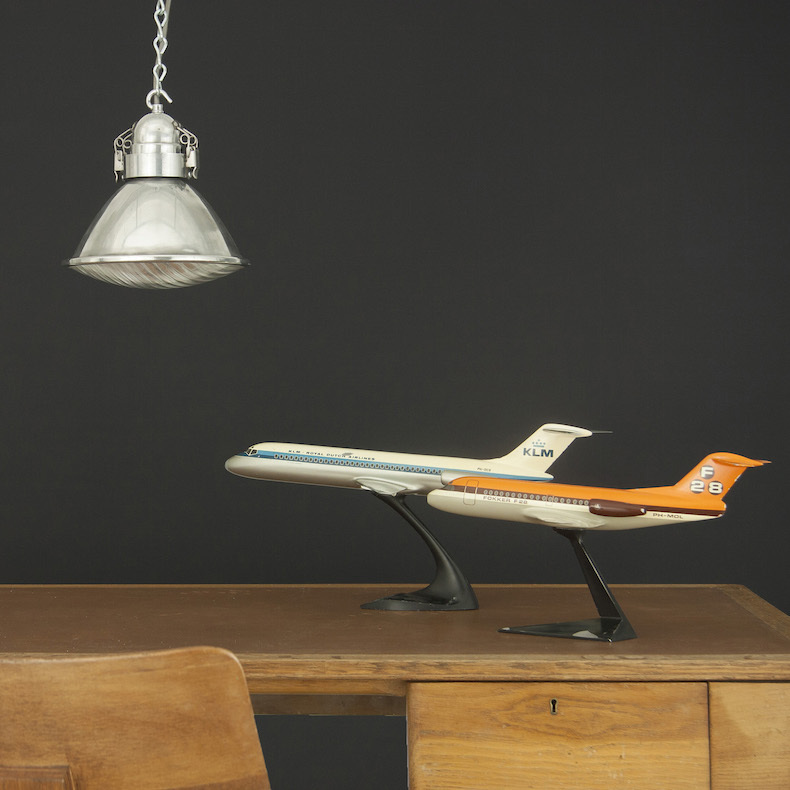 Vintage RAF wall lights - Stunning landing lights salvaged from an R.A.F base in Northwest Wales. 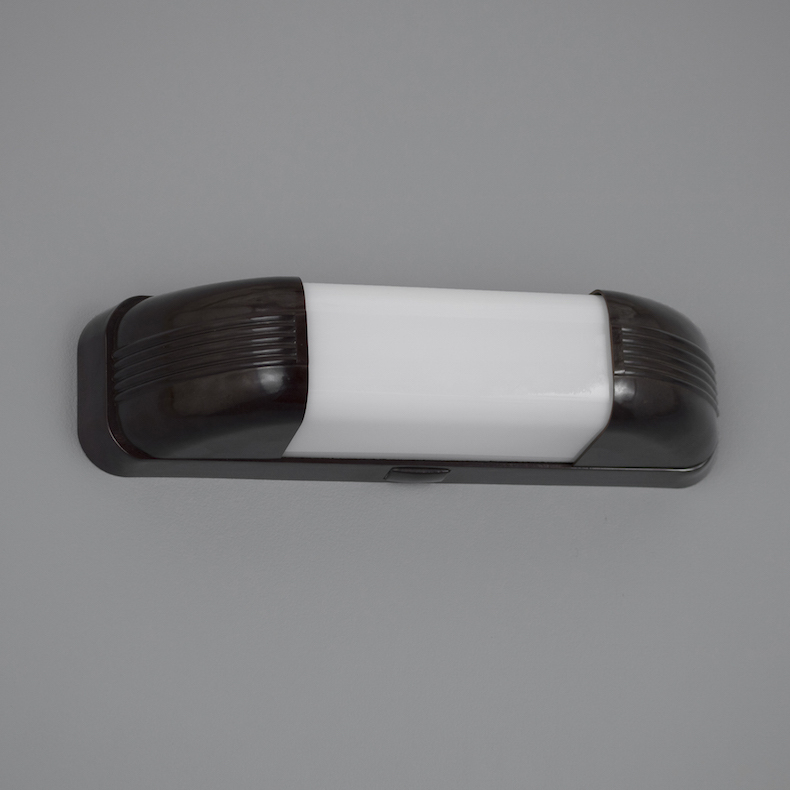 Refurbished and converted to sleek wall lights. 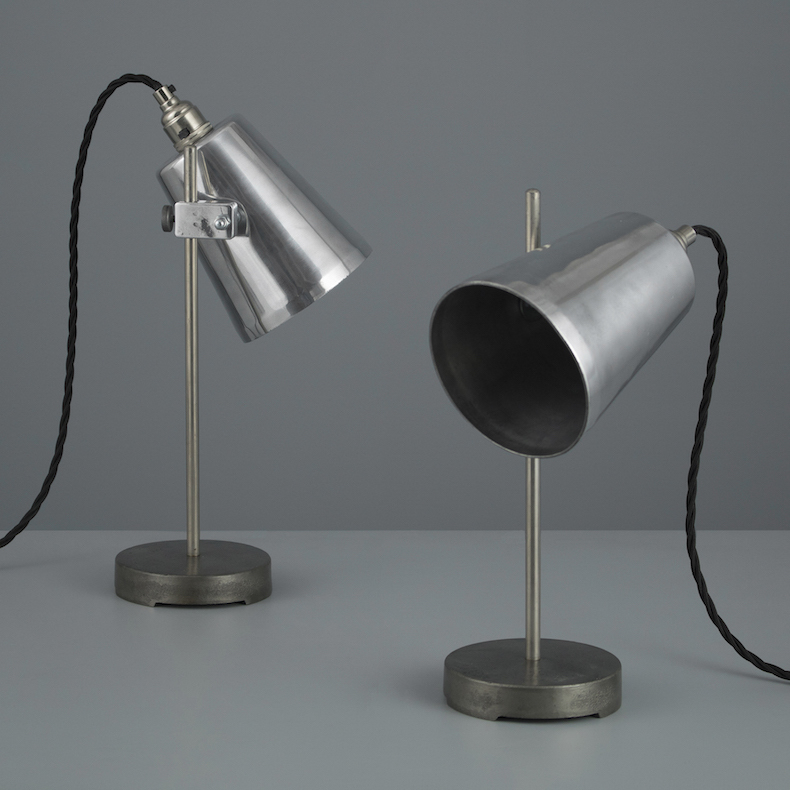 Vintage school laboratory lights - Simple 1940s laboratory experiment lights, salvaged from a secondary school in North London.